on Sen. Elder Vogel, Join Us! The right wing in our nation has always and continually made every effort to keep people from voting. At one time only white male property owners could vote. This was expanded to all white males. Then after a bloody civil war, black males gained the right to vote. Then women gained the right to vote after a long battle. Finally young folks from ages 18 to 21, who were fighting and dying in foreign wars, gained the right to vote. In the South, where the former slave-owner aristocracy maintained power, a raft of new laws were passed that disenfranchised black voters. There were poll taxes, various voter tests and other obstacles thrown up to stop blacks and poor whites in the South from voting. The Republican Party is renewing this drive to disenfranchise wide sectors of the voting population in order to tighten their hold on the national government. We are concerned that Sen.Vogel is a supporter of House Bill 934, the PA Voter Suppression Bill. 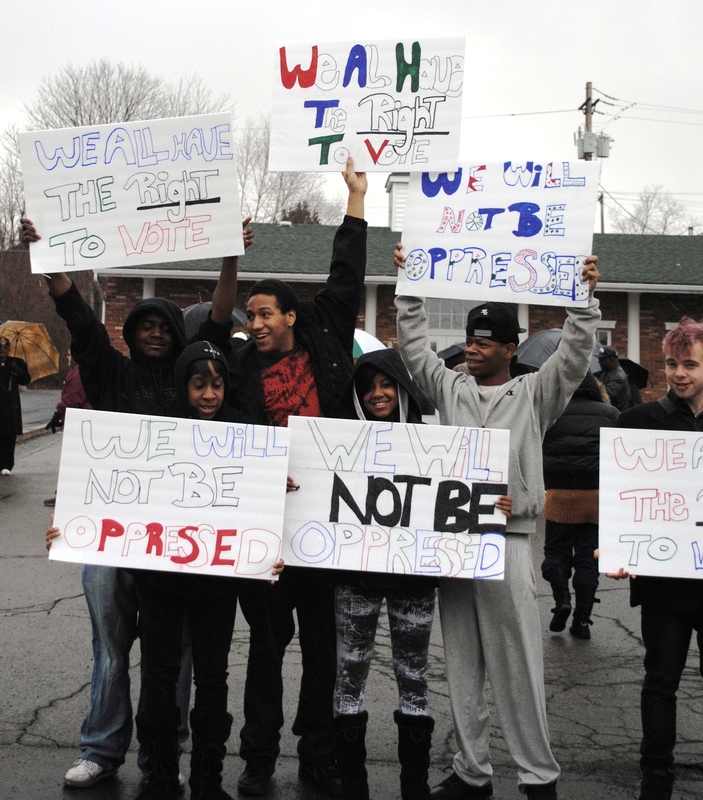 The right to vote is one of our most important rights. Now it is being challenged with new restrictions. Join us Saturday to voice your protest in person. 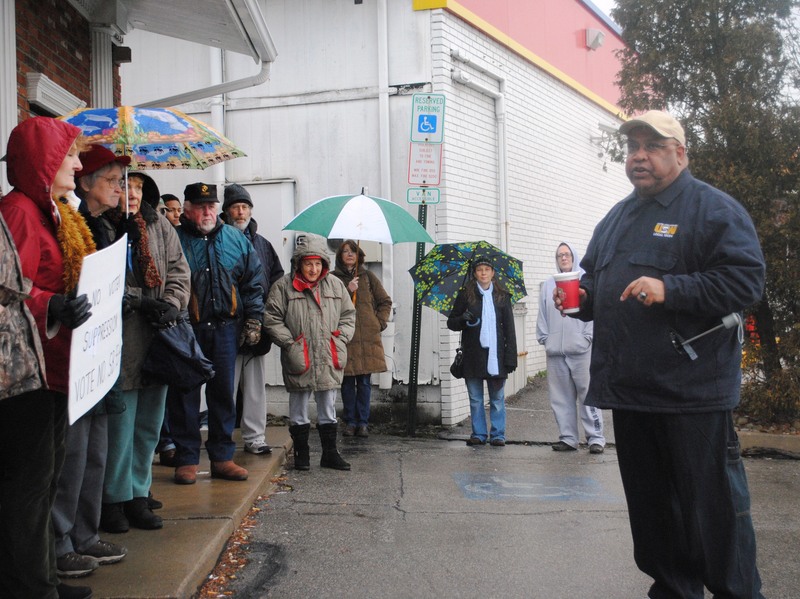 This demonstration is being organized by leaders and activists of the Beaver-Lawrence Labor Council, the NAACP, the Minority Coalition, Progressive Democrats, and representatives of local unions and churches. Our only hope politically is to keep building this progressive coalition that is growing & gaining strength right before our eyes. Please come out & help with this. It’s what PDA is all about. We’re All in the Same Boat? If Hollywood gave Oscars for shamelessness, the Republican responses to President Obama’s State of the Union speech last night, Jan 24, would have swept the field. "No feature of the Obama presidency has been sadder than its constant efforts to divide us, to curry favor with some Americans by castigating others," he said. "As in previous moments of national danger, we Americans are all in the same boat." Amazing. 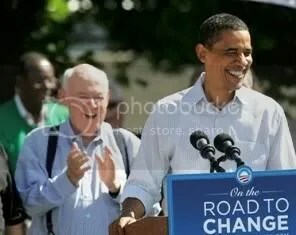 One top GOP candidate, Newt Gingrich, is running around the country attacking Obama as the ‘Food Stamp President,’ while the other, Mitt Romney, whose newly released tax returns show he takes in more in a day than a well-paid worker does in a year, critiques Obama’s business skills using a shuttered factory as a stage prop. Obama, of course, never shut down a single factory, yet that was precisely the business Mitt Romney and his outfit, Bain Capital, was famous for, including shutting down a factory in Florida, where his video message was being recorded. "All in the same boat" and ‘castigating others’ indeed. Governor Daniels uttered these words as the state he presides over is currently engaged in a notorious ‘right to work for less’ battle to strip Indiana’s workers on their ability to bargain collectively. Like many Americans, I watched the President’s speech with a critical eye. As he detailed a number of manufacturing and alternative energy industrial policies, I thought, finally, he’s giving some voice to his ‘inner Keynesian’ and forcing a crack in the neoliberal hegemony at the top. I cheered when he took aim at Wall Street and declared, "No more bailouts, no more handouts, and no more cop outs." On the other hand I winced more than once at the glorification of militarism and the defense of Empire-I’m one quick to oppose unjust wars and who has long believed a clean energy/green manufacturing industrial policy needs to trump a military-hydrocarbon industrial policy. This speech was also Obama in campaign mode. One thing we’ve learned over the last four years is that his governing mode is not the same thing, and requires much more of us in terms of independent, popular and democratic power at the base to make good things happen. But one thing is clear. My critical eye has nothing in common with what’s coming from the GOP and the far right. The first Saturday of every month, the pickups trucks from the local hills and hollows, growing numbers of them, fill the parking lot of the church on my corner, picking up packages from the food pantry to help make ends meet. In these circumstances and lacking better practical choices, I’ll go with the ‘Food Stamp’ President any day of the week. 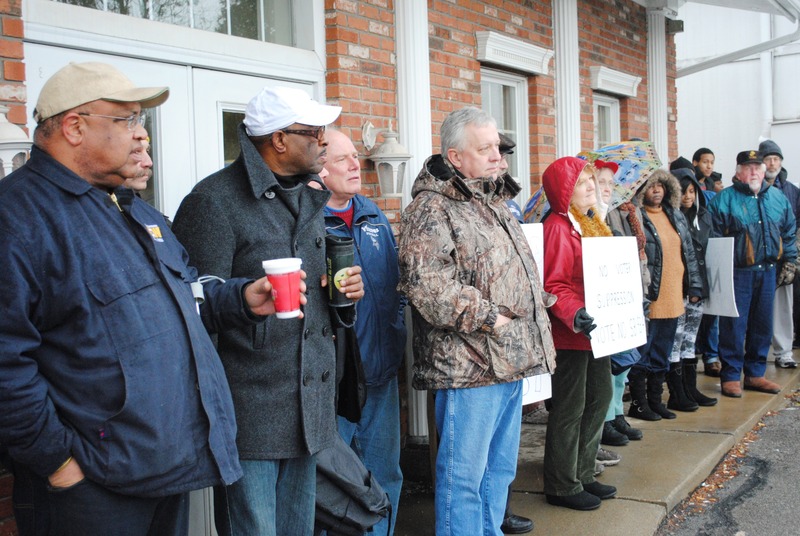 Jan 23., 2012 – The United Steelworkers union announced its support this morning of U.S. Rep. Mark Critz, D-Johnstown, in the increasingly competitive race for the new 12th congressional district. Republican mapmakers combined the seats of Mr. Critz and fellow Democratic incumbent Jason Altmire of McCandless, forcing them to face off in the state’s primary April 24th. The endorsement by the union, and its 32,000 active and retired members, should help Mr. Critz introduce himself to voters in Mr. Altmire’s backyard in suburbs north of the city. "Mark has always been there, not just for the Steelworkers union, but for working families," said union president Leo Gerard at the announcement at union headquarters Downtown. When the Congress of Industrial Organizations launched “Operation Dixie” in the aftermath of World War II, with the goal not just of organizing unions in the states of the old Confederacy but of ending Jim Crow discrimination, Southern segregationists moved immediately to establish deceptively named “right-to-work” laws. These measures were designed to make it dramatically harder for workers to organize unions and for labor organizations to advocate for workers on the job site or for social change in their communities and states. In short order, all the states that had seceded from the Union in order to maintain slavery had laws designed to prevent unions from fighting against segregation. The strategy worked. Southern states have far weaker unions than Northern states, and labor struggles have been far more bitter and violent in the South than in other parts of the country. It was in a right-to-work state, Tennessee, where the Rev. Martin Luther King Jr. was assassinated while supporting the struggle of African-American sanitation workers to organize a union and have it recognized by the city of Memphis. 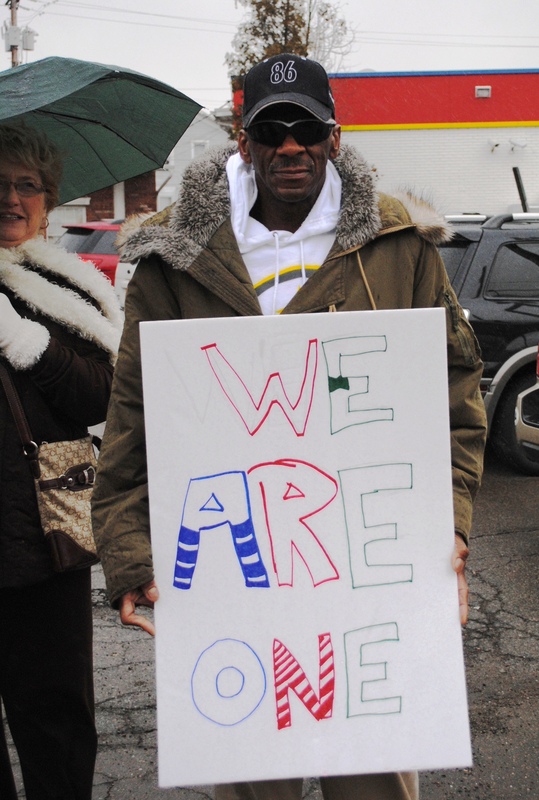 In public squares across the country, Occupy protesters honor Rev. 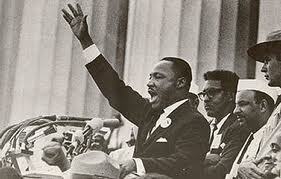 Martin Luther King’s memory on this holiday devoted to him. Their tribute is more meaningful and enduring than the granite monument that President Obama dedicated to Rev. King in Washington, D.C. last year. That’s because the Occupiers are pressing for a cause — economic justice — that Rev. King had embraced in the months before his assassination in 1968. And they’re pursuing it with the technique he advocated – nonviolent protest. Rev. King’s final crusade, his Poor People’s Campaign, and the Occupiers’ championing the nation’s 99 percent are remarkable in their similarities. It’s tragic that in the 44 years since Rev. King launched his campaign for an economic Bill of Rights that the nation’s poor and middle class have lurched backward instead of forward. It’s hopeful, however, that a whole new generation of idealists has taken up the dream of economic justice. In the year before Rev. King was gunned down, he persuaded the Southern Christian Leadership Conference to join him in a movement devoted to securing for all citizens the basic needs that would enable them to pursue the American Dream, to pursue happiness. He believed every able-bodied person should have access to a job with a living wage. And he believed every American should have decent housing and affordable health care. Without economic security, he said, no man is free. Jan 4, 2012 – Try to find a bank president that’s beloved by supporters of the Occupy Wall Street movement. It’s not impossible. You’ll just have to travel to North Dakota.